If you are the 'Broughton Castle Festival Of Transport' Show organiser and you would like to update or amend the details shown, please contact us. Thank you. When is the next Broughton Castle Festival Of Transport? Sunday 25th August, 2019. Broughton Castle Festival Of Transport is listed under August 2019 Shows. Although we try to keep the information for this event as up to date as possible, we cannot guarantee that things haven't changed at the last minute, and we haven't been informed. Therefore, please contact the 'Broughton Castle Festival Of Transport' event holder directly to confirm all details (especially event name, dates and location) before setting off to Banbury. 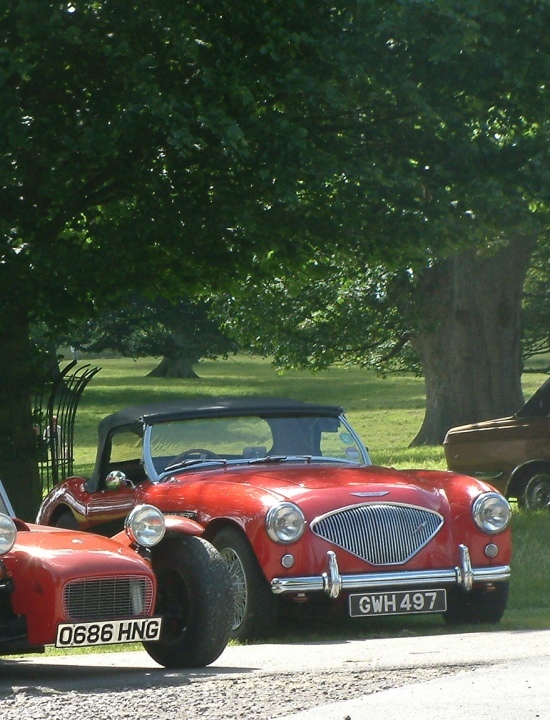 The Broughton Castle Festival Of Transport is planned to take place at Broughton Castle, Banbury, Oxfordshire, Sunday 25th August, 2019. You may reach the event organisers on 01484 667776. Whilst our time at Blenheim Palace has now come to an end, we are delighted to confirm that this event will now take place at Broughton Castle, Banbury on Sunday 25 August 2019. Broughton Castle dates back to the 1300’s and is surrounded by a moat to provide a stunning backdrop and feature for a classic vehicle event. Visitors will be able to explore the parklands, tour the Castle (additional fees apply) and enjoy a wide range of vintage, classic and modern classic vehicles on display. Add to this a full vehicle concours, modern car dealerships, trade / autojumble stalls, children’s entertainment and quality food, drink, bars and ice cream - what’s not to like?